Is Dzogchen really beyond cause and effect? "Guru" and "practice" are causes here, and "self-emergence" is result. Without a Guru you cannot practice Dzogchen to attain Buddhahood - according to Dzogchen of course - so that makes "Guru" a necessary "Cause" for attaining Buddhahood. And then claiming that the Buddhahood of Dzogchen is "self-emergent" or "spontaneous" and "beyond cause and effect", you contradict the first statement because a Guru's empowerment was logically concluded to be a necessary requirement in your sect. Either the requirement for Guru is indispensable for your goal (and your realization is NON-spontaneous) OR your vehicle leads to the arousal of "Buddhahood" spontaneously. It cannot be both at the same time. And I am pretty sure your experience of "realization" conferred to you by your Guru must have been a profound experience, but you are being closed-minded in thinking that (i)it was THE most profound experience (ii)Only Yogic Dzogchen masters can make you enter states of mind through their power of the mind. If you explore more possibilities, you will see that many realized beings can give you profound experiences. Some Hindu, Taoists, Hinayanists etc. Re: Is Dzogchen really beyond cause and effect? Samsara is characterized by cause and effect. So living in samsara, how can one rely on the methods that are beyond cause and effect? In Samsara, according to my understand, being practice Dharma, to attain a goal. So the goal and practice are causally related. In what way, then, is Dzogchen, beyond cause and effect since its requirement of "causes" also includes a Guru's empowerment along with the standard "causes" of Sutra methods? There is a sense in dzogchen of non-achievement. This is an important point. Also the teacher is more like an expression of the natural condition. So the situation is something a little different from normal. "What is the All? Simply the eye & forms, ear & sounds, nose & aromas, tongue & flavors, body & tactile sensations, intellect & ideas. This, monks, is called the All. Anyone who would say, 'Repudiating this All, I will describe another,' if questioned on what exactly might be the grounds for his statement, would be unable to explain, and furthermore, would be put to grief. Why? Because it lies beyond range." Sabba Sutta. Ha!!! Even for a Centrist (a madhyamika) there is never need of "production" of what was never in the first place. "Cause and effect" works only from deceiving perspective of sentient beings as merely a "antidote, medicine" used by a madhyamika in order to cure them: http://www.lamrimnotes.webs.com/hornlike.html Appendix 2. No need for dzogchen here. Considering Dzogchen is the same principle: The lineage of Dzogchen Gurus works only from perspective of practitioners of dzogchen in order to realize fully Rigpa for them, it does not work for others. To be a Yogacara is not enough in order to realize Rigpa, not to mention Hindu or Taoist. Tiger wrote: And then claiming that the Buddhahood of Dzogchen is "self-emergent" or "spontaneous" and "beyond cause and effect", you contradict the first statement because a Guru's empowerment was logically concluded to be a necessary requirement in your sect. Either the requirement for Guru is indispensable for your goal (and your realization is NON-spontaneous) OR your vehicle leads to the arousal of "Buddhahood" spontaneously. It cannot be both at the same time. Buddhahood in Dzogchen is analgous to picking fruit off of a tree. You need a Guru to show you where the tree is and that the fruit is there to be picked. You need do nothing to grow the fruit, however -- it is just hanging there to be picked. Song of the happy rabbit. Logic 100. If your Guru is your own realized Thathagatagharba, Buddha seed, dwelling beyond time or any characteristic whatsoever, (including those of you, Guru, Buddha, seed, dwelling, time and characteristic, etc) then from THAT (ness) it is also beyond any "cause" for obtaining Buddha-hood, or "Buddhahood" to be obtained. Logic 99. also beyond: "Dzogchen"; "self emergent"; "beyond cause and effect"; spontaneously realized"; gradually realized"; "logic" (that is the hardest to let go, for some); and the all inclusive "ETC." Logic 98. I do not think of the experiences of pointing out instructions. Not one thought - ever. Couldn't if I wanted to. Logic 97. I also do not have any thought as to whether taking pointing out instructions from a "Dzogchen Master" is the only way to enter Dzogchen / instant presence. That said, perhaps finding a Dzogchen Master, and taking pointing out instructions, is the easiest way to enter Dzogchen / instant presence. to all and ALL realized Masters of all faiths and religions who are beyond any differentiating qualities / views, what-so-ever. Homage to the Dzogchen Masters, may they live long , in good health and with success in all things. Last edited by oldbob on Mon Sep 24, 2012 5:01 pm, edited 1 time in total. Depends on what "beyond" means. Say what you think about me here. Malcolm wrote: Buddhahood in Dzogchen is analgous to picking fruit off of a tree. You need a Guru to show you where the tree is and that the fruit is there to be picked. You need do nothing to grow the fruit, however -- it is just hanging there to be picked. Dzogchen toddler here: I'm enough of a path of transformation guy to believe that all these words are very pretty much all correct. But practically - I still need the guru. It's called guruyoga for a reason. Guruyoga white A leads naturally to four yogas of Semde which in turn lead naturally to katak trekcho. But they are all from the guru. This is why they are all true vajrayana practices. I get the truth, the deva, from the guru. I need to put that truth inside of me, which makes me a dakini. I can't make up my own realization I need the rocket fuel from the outside source. Ya oushi, I think maybe we need to say also beyond, "beyond" - then maybe we don't have to worry about what beyond means. oldbob wrote: Ya oushi, I think maybe we need to say also beyond, "beyond" - then maybe we don't have to worry about what beyond means. And what Dzogchen is, or isn't. Maybe we are all Dzogchen toddlers until we become Dzogchen Masters. Homage to the Dzogchen Masters, may they live long, in good health, and with success in all things. Whether in Dzogchen or common mahayana, only the body (ground) is beyond cause and effect, since both the perfuming (subject) and perfumed (object) are unrelated to it. However, the bodhi is not on the side of the body but on the side of means (jnana), and it is responsive to the perfuming (subject) and perfumed (object). Jyoti wrote: Whether in Dzogchen or common mahayana, only the body (ground) is beyond cause and effect, since both the perfuming (subject) and perfumed (object) are unrelated to it. However, the bodhi is not on the side of the body but on the side of means (jnana), and it is responsive to the perfuming (subject) and perfumed (object). In Dzogchen, there is not this duality between emptiness and display/means. Neither for explanatory purposes or practice-wise. Dzogchen does not even bother considering them separately but rather presents them at all times as inseparable as water and its wetness. Even on the level of Madhyamaka, it is understood that since no phenomena whatsoever can be found that are actually established, neither can any agent, action, or result be established. I.E. cause and result are illusory. Dzogchen just takes it a step further, beyond the realm of intellectual analysis, and introduces this inseparability of emptiness and natural formation experientially. It is understood in Dzogchen, of course, that on the level of deluded experience, there will still be the experience of subject and object and thus cause and effect until one's realization has overcome that ignorance, but from the very start of Dzogchen one goes to the heart of dissolving that deluded notion experientially, from the inside out. In other words, while sutra acknowledges that Buddhas know the absolute and relative levels simultaneously, they assert that ordinary sentient beings can't possibly do that, so they explain relative and absolute separately and one meditates on them as separate as well. But Dzogchen introduces them at all times as inseparable, and Dzogchen "practice" involves knowing them that way too. Jyoti wrote: ..in ..common mahayana, only the body (ground) is beyond cause and effect, since both the perfuming (subject) and perfumed (object) are unrelated to it. However, the bodhi is not on the side of the body but on the side of means (jnana), and it is responsive to the perfuming (subject) and perfumed (object). Jyoti, you are using completely different terminology as i see. Have you read for example http://books.google.pl/books/about/The_ ... edir_esc=y ? Perhaps help you to investigate the topic from POV of little more tibetan source. Cleaned the thread. Please stay on-topic. Discussion of Yogacara can be done in the appropriate thread in the Dzogchen section. ...I am inscrutable and cannot be cultivated. so nothing can be done to affect me. tumbling down due to deliberate effort. and the ten techniques are meaningless. taking no view, remain at that zero-point. there is no other source of secret precepts." Tiger wrote: Samsara is characterized by cause and effect. So living in samsara, how can one rely on the methods that are beyond cause and effect? In Samsara, according to my understand, being practice Dharma, to attain a goal. So the goal and practice are causally related. In what way, then, is Dzogchen, beyond cause and effect since its requirement of "causes" also includes a Guru's empowerment along with the standard "causes" of Sutra methods? "Mahamudra has no causes," and yet faith and devotion are the causes of mahamudra. "Mahamudra has no conditions," and yet genuine gurus are the conditions for mahamudra. "Mahamudra has no methods," and yet uncontrived mind is the method of mahamudra. "Mahamudra has no path," and yet undistracted mind is the path of mahamudra. "Mahamudra has no result," and yet the mind liberated into dharmata is the result of mahamudra." I would say this would be valid for Dzogchen also. "We are all here to help each other go through this thing, whatever it is." Dzogchen is beyond 'beyond', because where it's at, yond doesn't exist. 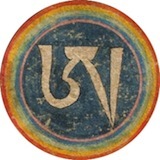 Virgo wrote: Dzogchen is beyond 'beyond', because where it's at, yond doesn't exist. And what does "exist" mean? The game of questions and answers is pointless, like juggling without balls. We ask about one ball, and the answer is build from relations to other balls. Where are those balls? Nowhere to be found, but relations are infinite. There is no answer for the question what Dzogchen is.